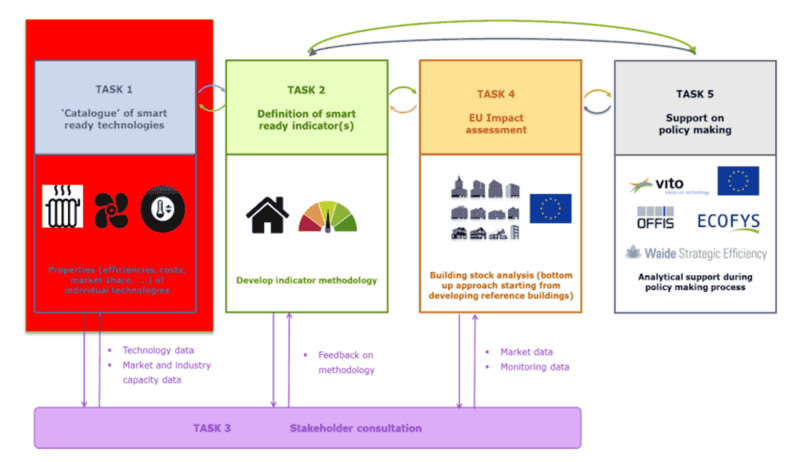 The European Commission is proposing that a voluntary scheme for rating the “smart readiness” of buildings be adopted by the end of 2019. This scheme will include the development of a smart readiness indicator, and a methodology to calculate this. 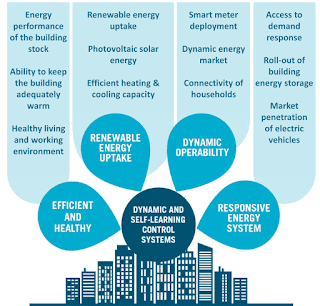 Buildings are becoming micro-energy hubs, but the building sector is lagging behind in understanding the implications. 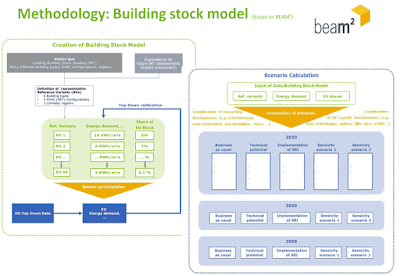 In Europe, part of the problem is a lack of high-quality data on the building stock. 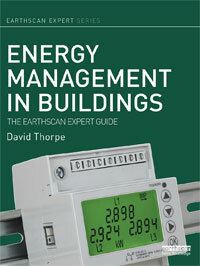 This is hampering efforts to reduce the amount of energy buildings use. There is no consistent data to form a baseline for the Energy Performance Certificates (EPCs) that rate buildings’ energy use. This problem is to be tackled from one direction by the development of a voluntary “smart readiness indicator” (SRI) for buildings. The SRI would measure buildings’ capacity to use ICT and electronic systems to optimise operation and interact with the grid. 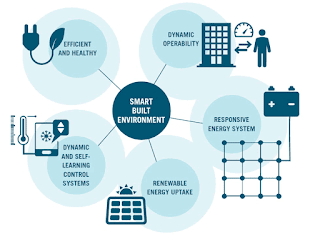 But, just as there’s no consistent data, there is also no universally accepted definition of what makes a smart building, and there are few initiatives directly linked to indicators. So work is now underway to try to define what an SRI for buildings looks like. An SRI’s eventual purpose is to raise awareness amongst building owners and occupants of the value of the electronic automation and monitoring of technical building systems, and to provide confidence and transparency to building users regarding the actual energy and cash savings generated. 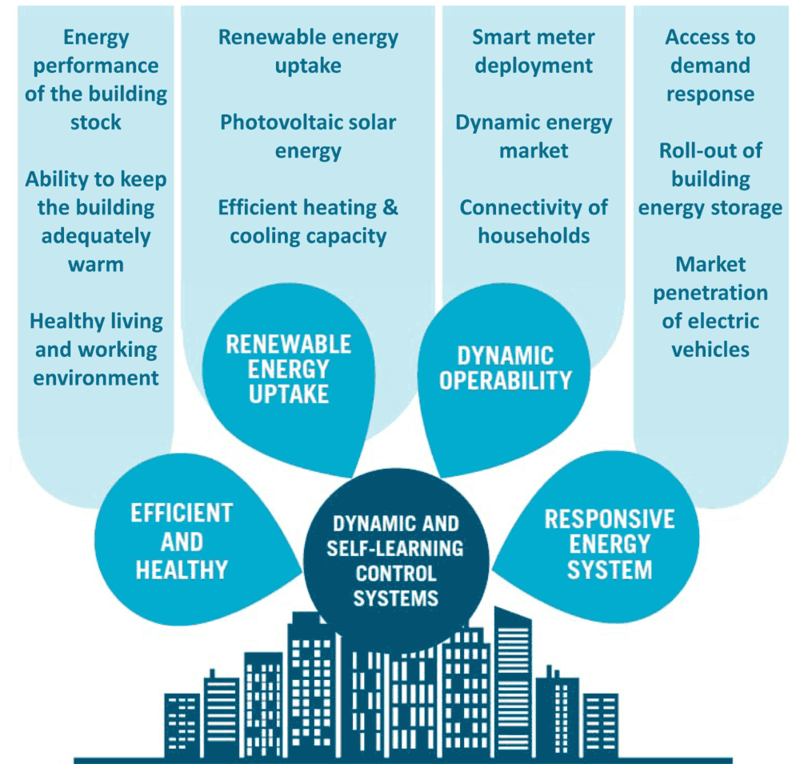 An SRI would also align building energy performance – and the current drive to create a Single European Energy Market – with another pan-European idea: the Digital Single Market. The rationale is that digitalisation of the energy system is rapidly changing the energy landscape, allowing easier integration of renewables, smart grids and the establishment of “smart-ready” buildings. As with most things in European legislation, the development of an SRI is complex. It’s bound up with the European Commission’s current process to revise a directive to improve the energy performance of buildings. 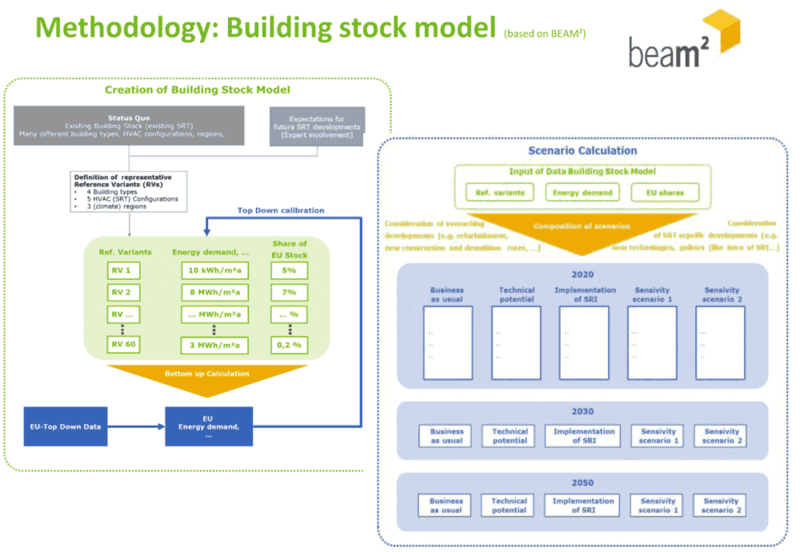 By 2050, the aim is to decarbonise the building stock as part of developing a secure, competitive and decarbonised Europe-wide energy system. 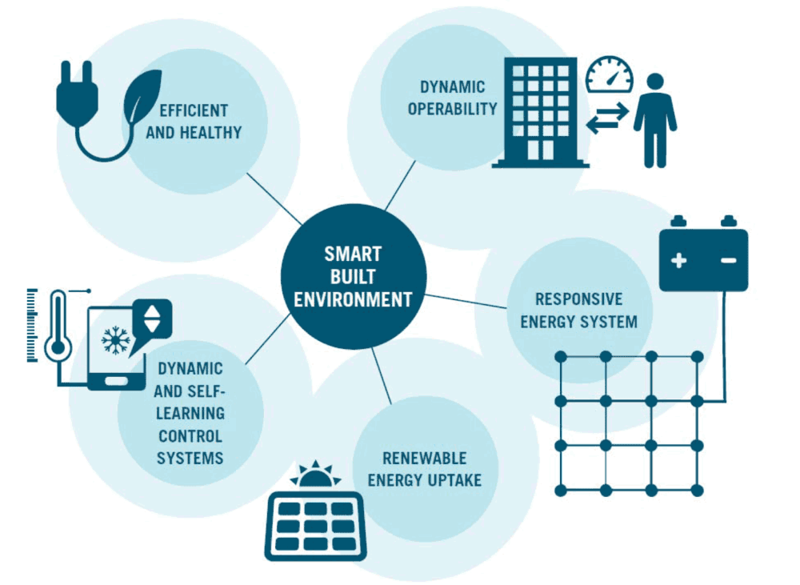 This revision of the Energy Performance of Buildings Directive (EPBD) was originally meant to incorporate targeted incentives to promote smart-ready systems and digital solutions in the built environment, but has since become less ambitious. According to the European Economic and Social Committee, a smartness indicator will measure a building’s capacity to use ICT and electronic systems to optimise operation and its interaction with the grid by developing a transparent, meaningful indicator that would add value to the EPC without imposing undue data collection or analytical burdens. 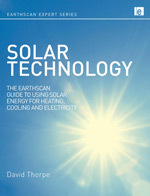 Such an indicator would show how capable a building is of letting its occupants assess energy efficiency, control and facilitate their own renewable energy production and consumption, and thus cut energy bills. A preliminary report for the European Commission’s Energy Directorate by consultants Ecofys with colleagues in a specially created consortium, said these indicators would help with the energy management and maintenance of a building, including automated fault detection; assist in automating the reporting of the energy performance of buildings; assist with data analytics, self-learning control systems and predictive control to optimise building operations; and enable buildings to become active operators in a demand response setting. 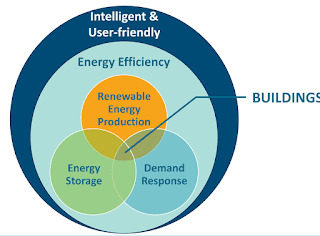 The renewable energy context for 'smart buildings'. Source: BPIE. Ecofys with its colleagues is developing the formal definitions for the indicators as Task 1 of a series of five stages up to the proposal of the standard in April next year. 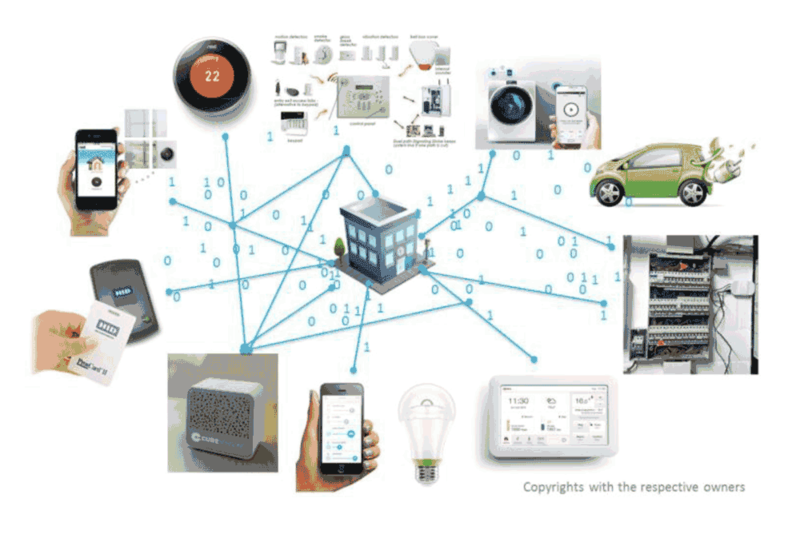 It has listed the ten services that the indicator could cover as: heating, domestic hot water, cooling, mechanical ventilation, lighting, dynamic building envelope, energy generation, demand side management, electric vehicle charging, and monitoring and control. The SRI must be open and transparent, in order to promote interoperability, or it will not be fit for purpose. This means that companies involved cannot monopolise or impose their own proprietary standards. “Smart readiness” necessarily implies a readiness to adapt in response to the needs of the occupant and to empower building occupants to take direct control of their energy consumption and/or generation, for example with the management of heating system based on occupancy sensors and dashboards displaying current and historical energy consumption. It also implies a readiness to facilitate the maintenance and efficient operation of the building in a more automated and controlled manner, for example by indicating when systems need maintenance or repair, or using CO2 sensors to decide when to increase ventilation. Above all, they said, “It needs to convey information which is salient (meaningful) to end-users, be easy to understand and motivate them to save energy.” It will also have to apply to all types of buildings, new and old. An example of how the indicator could work. This development process is expected to be complete by April 2018. Anyone interested in following or participating in the development of the indicator can sign up. 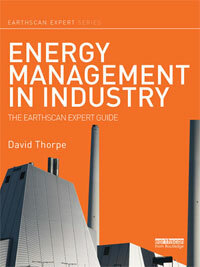 David Thorpe is the author of a number of books on energy efficiency, building refurbishment and renewable energy. 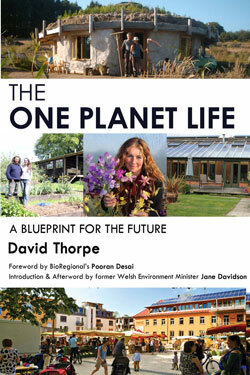 See his website here.